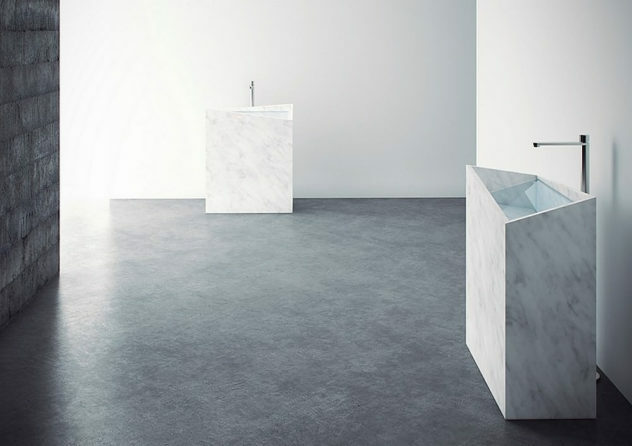 Designer Konstantin Grcic presents a collection of elegant wash basins made of Saphirkeramik the new innovative ceramic material by LAUFEN. 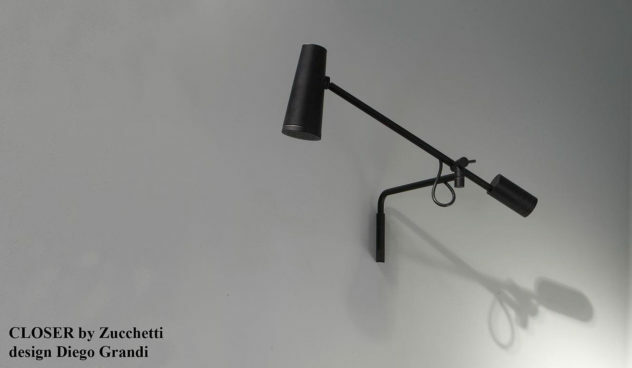 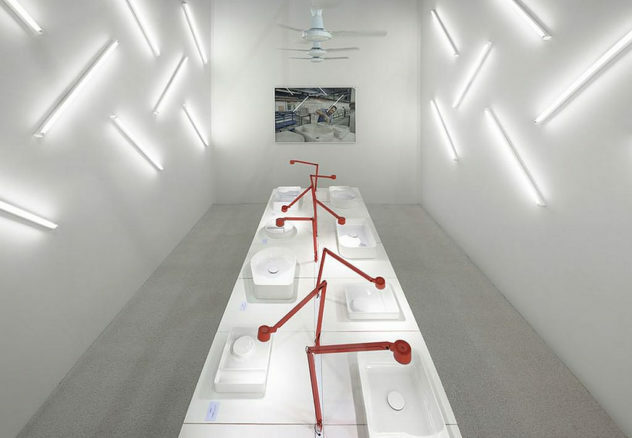 The Closer Showerhead is an eclectic concept for an unusual pivoting showerhead, designed by Diego Grandi for Italian manufacturer Zucchetti Kos. 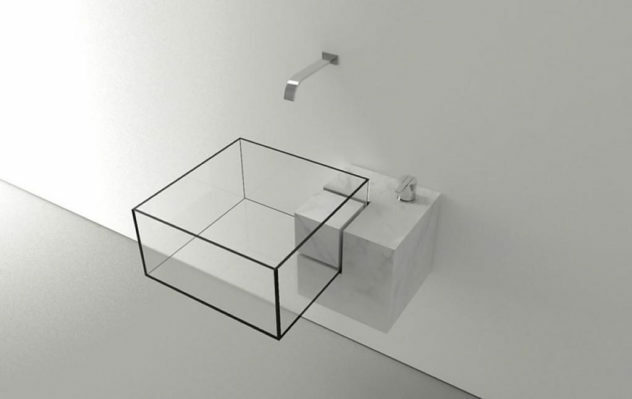 The Kub basin by Victor Vasilev is an exceptional example of minimal industrial design that features a unique sleek design and luxurious style. 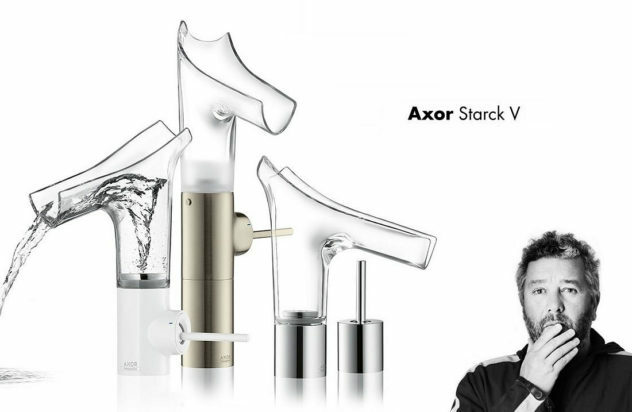 The Axor Starck V is Philippe Starck’s latest creation for Hansgrohe it is the company’s first transparent glass faucet with a unique vortex design. 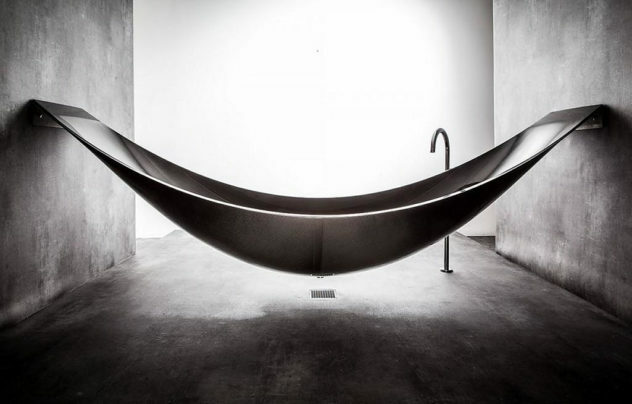 Vessel Hammock Shaped Carbon Fiber Bathtub by Splinter Works. 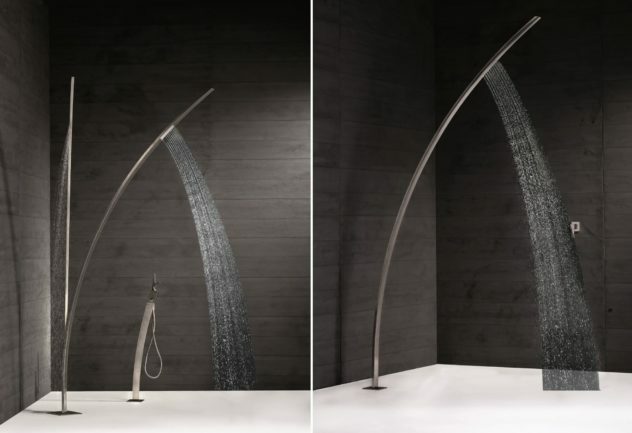 The Vessel hammock-shaped carbon fiber bathtub by Splinter Works is a combination of ultimate relaxation, cutting edge technology and minimal design. 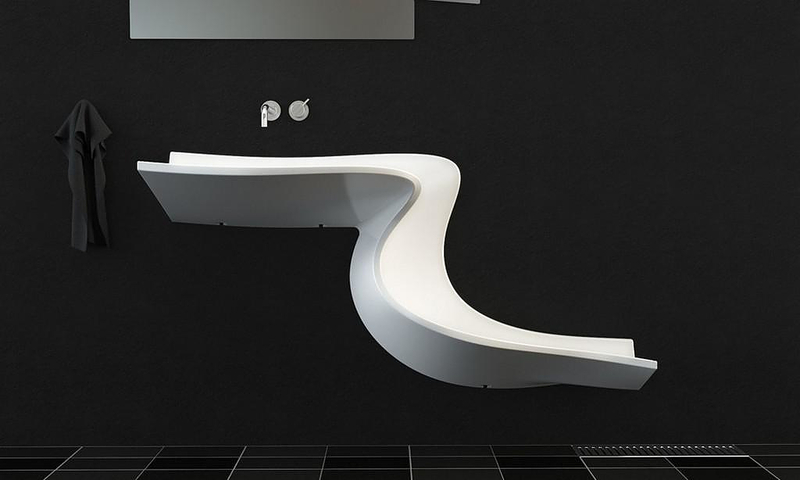 The amazing sculptural Abisko washbasin by Eumar catches the freedom and simplicity of unspoiled mountain springs and waterfalls.